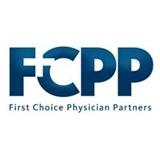 FCPP, Women's Health - OC (Yorba Linda) - Book Appointment Online! Staff was excellent. PA was knowledgeable. Beautiful office. Very nice and professional. I would definitely recommend.